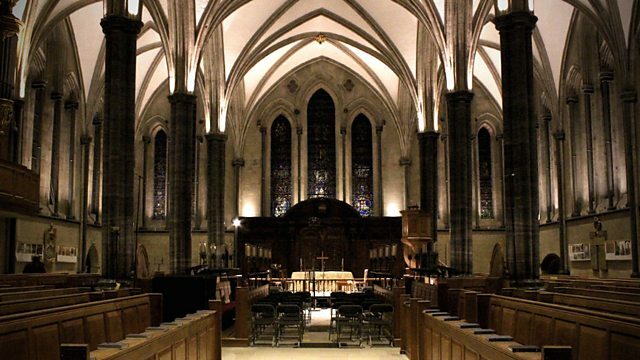 From the Temple Church, Sara Mohr Pietsch presents Handel's Messiah in a version including wind orchestra accompaniment, with the BBC Singers and the Norwegian Wind Ensemble. Live from London, a seasonal favourite in new garb: Handel's 'Messiah' in a version accompanied by wind orchestra. 8.30 Interval music: Sara Mohr-Pietsch talks to Stian Aareskjold - who made tonight's arrangement - about his fascination with the music of the Baroque, and introduces music from Handel's own organ concertos, which were often performed in the intervals of his oratorios during Handel's day. The Norwegian Wind Ensemble is one of the Norway's most distinguished instrumental groups, with a its history extending back to the 18th century. Innovative and distinctive programming and a repertoire of music old and new is a notable feature of the ensemble's work. But it has also specialised in arranging 18th-century works for symphonic wind band. Anyone who heard Radio 3's live broadcast, last December, of Bach's Christmas Oratorio in the version created by the NWE will know how convincing, compelling, and virtuosic these performers can be. Tonight the NWE's players turn their attention to Handel's 'Messiah' - the well-loved choral masterpiece given new clothes here in this arrangement accompanied by wind orchestra. Concluding this week of broadcasts from the Temple Winter Festival, David Hill directs the BBC Singers, the NWE, and an impressive team of soloists, live from the magnificent surroundings of one of London's most historic and atmospheric churches. Donald Macleod explores Handel's oratorios, both famous and lesser-known. Stephen Johnson explores one of the most popular seasonal oratorios, Handel's Messiah.